You are looking at a terrific 1967 MGB GT. We don't see many GTs, never mind early 1967 models. 1967 is one of the best years for an MGB, and the last year they had the very desirable steel dashboards. 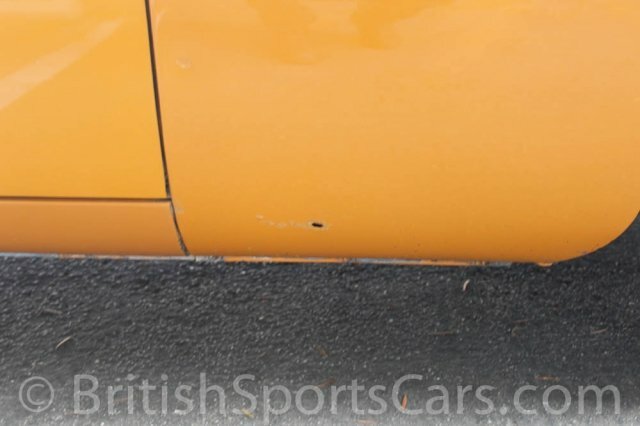 This particular car shows no signs of ever having experienced accident damage, and it' still wearing its original alloy bonnet. The car has a freshly rebuilt engine and transmission, and is fitted with the rare factory overdrive transmission. The paint is an older paint job and does show some wear. It also has a little rust just starting in the front lower fenders. This is very common on MGBs and is easily repaired. The interior is full leather and the steel dash has a beautiful wood veneer installed over it that can be removed if one desires. This is a really great car and it drives fantastic. Please feel free to contact us with any questions you have.